Kishore Biyani led Future Group has announced it’s merger with Bharti Retail, there by forming India’s largest retail chain in terms of revenues. This retail behemoth’s annual turnover will be Rs 15,000 crore, which is more than Reliance Retail’s Rs 14,496 crore (during 2013-14 Fiscal Year). However, in terms of store outlets, Reliance is still #1 with 1691 outlets across 146 cities with 11.7 million square feet of operating space. Comparably, Future Group + Bharti Retail now have 570 outlets across 243 cities in India with total operating space of 18.58 million square feet. As of records available, Future Retail has 350 outlets covering 11 million square feet of operating space; whereas Bharti Retail has 200 stores across 114 cities. As approved by the Board of Directors of the two retail giants, the retail business of Future Group with be merged with the operations of Bharti Retail, and now the new retail entity will manage retail operations of both companies using one platform, but branding would be as it is. 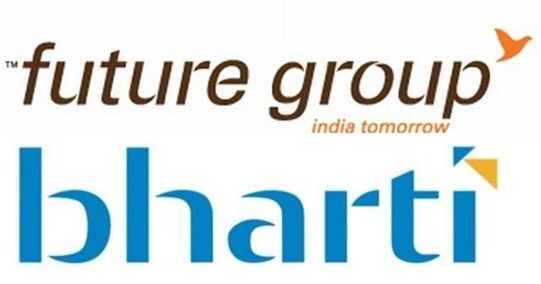 As per reports, in the phase 2 of the merger, a new company would be formed named as ‘Future Enterprises’ which will hold all the assets, infrastructure and investments of both Future Group and Bharti Retail. And, Bharti Retail will also hold securities which can be converted into shares worth 5% of the new enterprise. This has been done, keeping in mind the loss-making Bharti Retail’s existing debts and liabilities. Keeping in mind the interests of share holders, the management has devised a new distribution method of equity shares. Under the new arrangement, for every share of Future Group, Bharti Retail will offer one equity share of Rs 2 value; similarly, for every share of Bharti Retail, Future Group will issue one share of Rs 2 value. Hence, all the shareholders of both of the companies will have shares of the other company as part of the merger. Additionally, Bharti Retail will receive Rs 500 crore worth of stocks (9-10% of the equity of the new firm), along with 15% stake in the new enterprise. Rs 250 crore by means of optionally convertible debentures would also be issued to Bharti Retail. Future Group will control 46-47% of the new enterprise, and the rest of the stake would be controlled by share holders. It seems that the market has also approved of the merger as shares of Future Group increased its value by 12.1% and Bharti Retail increased by 3% at the end of the trading day. what the hell ..? the mi band open today for purchase @ 2 p.m. there r only 1000 bands available , went out in a flash , just in 5 seconds , all r sold out . how it is possible ?? it is like internal settings , mili bhghat . Request to mi india team if you really wanna sell things here , do it properly , ethically , that people really willing to pay ( whatever the amount is ) , but unfortunately they didn`t get it , frustrated & diverted to another company product..